Edward M. Lopez migrated from Cuba in 1959 where he had worked in the Asphalt business for all his adult life as his father before him. 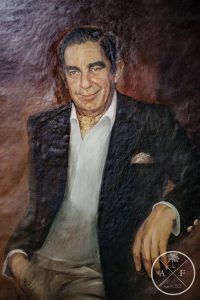 With a few dollars in his pocket and the in-depth knowledge of how to produce quality asphalt and build roads, he became one of the founding shareholders of General Asphalt Co., Inc (a Florida based Corporation) in 1966 along with Henry Lee Mills, Herman, Stanley & Paul Marks and five additional shareholders,. With the Construction of the asphalt plant, the Company began to serve primarily as a subcontractor, for the Construction of roadway projects throughout South Florida. Florida City. The location for the plant was selected to better service the southernmost areas of South Florida such as Key West. A new generation is added to the Company with the employment Robert A. Lopez Sr.
eldest son of Eduardo Lopez as a loader operator. Eduardo M. Lopez joins the Company as shop mechanic. Hurricane Andrew hits South Florida destroying the Florida City plant. The third generation is added to the company with the employment of Robert Lopez Jr.
(Rob Lopez) son of Robert A. Lopez Sr. Rob commences his career at General Asphalt as an estimator and project superintendent. Albert J. Lopez becomes part owner of General Asphalt. Rob Lopez Jr. becomes part owner of General Asphalt. 11 acres adjacent to the East Dade plant are purchased to allow for future growth.